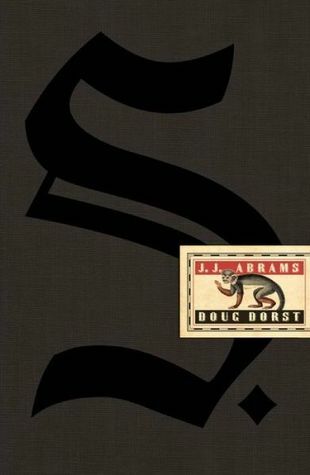 This week’s flashback review is for the book S. by J.J. Abrams and Doug Dorst. I was absolutely blown away. Look for this again in the coming months when I give it a re-read and try to solve the mysterious cipher. If you’re thinking about reading some speculative fiction, I would start here. I want to read this again. Mostly because I think I missed something, but the other part of me wants to read it again because of the brilliant story telling. The concept and execution sold me from the first time I heard about it. I was not disappointed to discover the contents were so perfect and genuine, it is hard not to think of “S.” as just fiction. 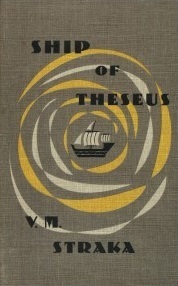 The characters, Jen and Eric, leaped off the page, proving that this is more than just “Ship of Theseus” or just an autobiography of V.M. Straka. I was enraptured with the conspiracy, overwhelmed with the emotion I felt in the margins, and slightly confused about the outside forces that influenced both Straka and Jen & Eric. My only criticism is with myself because I could not figure out how the North/South/East/West cipher at the back of the book worked! And, as one who studies publishing, I want to meet the editorial and production team who worked on this book because I can imagine the time and effort it went into creating the book pages, the handwriting and everything else that went into the book–bravo! Simply brilliant. Has anyone else read S.? I haven’t met that many people who have! I highly recommend it, but you can’t borrow my copy! I’ve yet to get to this one, but I’m fascinated by marginalia, and I know this is one that pursues the concept ad nauseam. Thanks for the wonderful thoughts! If you’re ever interested in some awesome book reviews and musings, be sure to follow! Thanks!!! Hi Book Guy! I was more captivated my the margin notes and excess papers than the story of Ship of Theseus! Definitely pick this book up. Thanks for stopping by! Next Next post: What If We Started a Podcast?